Crack this awesome Mine-Egg by touching it. 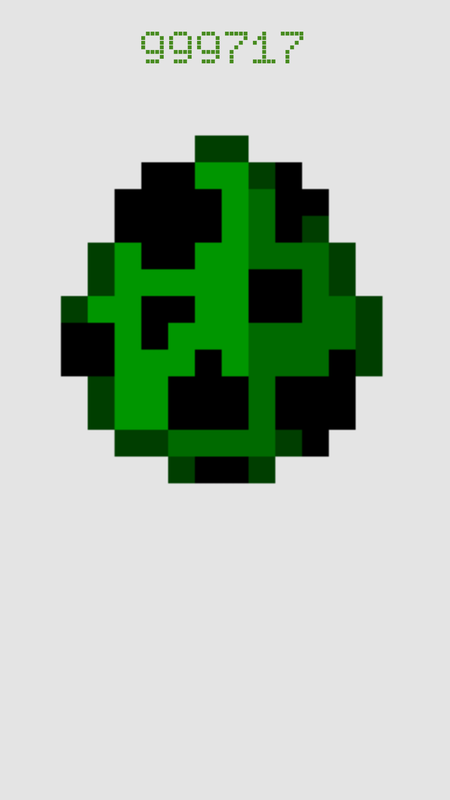 If you touched the Mine-Egg 1000000 times it will show you what is really inside it. Real geeks should know that this Mine-Egg is awesom, but you really think it is a chicken inside of it? It is nothing special about the gameplay but im sure you can't stop touching the Mine-Egg. *PRO TIP: Touch with two fingers for faster cracking But watch out, maybe there is something in it which you don't like to see.